The T26 GCS Cost Capability Trading team has been working to determine the key capabilities and baseline design for the Royal Navy’s next generation of warships. 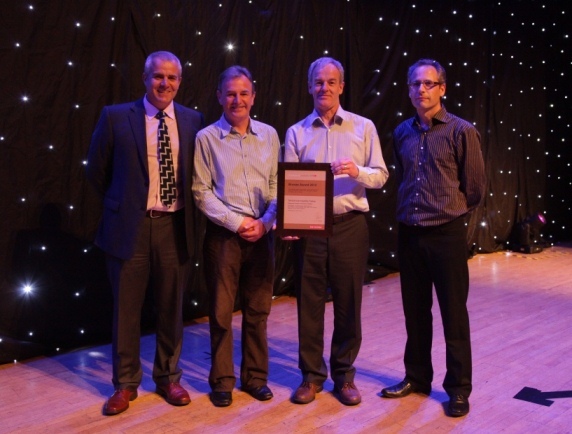 The team was recently awarded a BAE Systems Chairman’s Bronze Award. The photo shows (from left to right), Mick Ord (MD BAE Systems Naval Ships), Nigel Osborne (BAE Systems), Peter Miles (Catalyze) and Mike Mclaughin (BAE Systems).